Creoly is an online stationery shop aimed specifically at creatives. Their range of books & notepads as well as various pens & pencils is enough to make any designer go weak at the knees. Alongside their collection of useful sketching and planning products, Creoly also stock some fantastic resources from top brands such as the Action Method range from Behance. This week Access All Areas members are being treated to another giveaway. Creoly has kindly donated five 9″x10″ dot grid books to be given away to members, enter now to be in with a chance of winning one yourself. Based on a philosophy of beautiful design and exceptional quality, Creoly has collected a range of notebooks, journals, pens, and accessories from around the world. They are Europe’s biggest stockist of the popular Behance Action Method range of amazing products, which are particularly popular with creatives who appreciate premium quality stationery to inspire them to sketch, write and share their ideas on paper. If you’re interested in checking out the Behance range, or any of Creoly’s other products yourself, everyone can enjoy a 10% discount with the code SPOON10. Creoly are kindly providing 5 of their fantastic 9″x10.5″ dot grid books to give away to Access All Areas members. 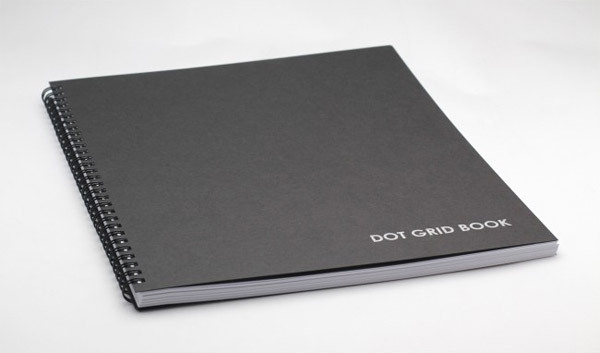 Dot grid books offer an alternative to traditional lines and boxes, featuring a light geometric dot matrix which provides a subtle guide for your notes and sketches. Each book contains 100 pages of premium 140gsm paper, a heavy 400gsm black Pop’Set cover with pantone silver printed lettering and strong wirebound binding. This is a designer’s dream, opening completely flat on a desk for maximum ease of use. To be in with a chance of winning, simply add your comment below, giving a brief insight into why you would love to get your hands on a Creoly dot grid book of your own. The five winners will be chosen at random on Friday 15th November 2013. Congratulations to James, Shane, Jason, Carol and Sharon who were all drawn out as lucky winners of Creoly Dot Grid books. 129 Comments submitted Add yours! Hi! I am a Graphic Designer trainee, and believe a Creoly dot grid book would be perfect for taking notes, sketching and such. In fact i want to try out this quality product, and make it like a “test” so that later perhaps i will purchase one if i win and im really satisfied with it. I’d be great to sketch! I would love to have one of these so when I go meet a client, I don’t get embarrassed when I pull out the usual Disney princess notebook I grabbed while running out the door. Nothing like pen and paper to sketch! Would love to get a chance to use the best! Recently graduated and starting off freelance graphic designer/illustrator. I’d love a Creoly Dot Grid for my current typographical and logo projects. Thanks! 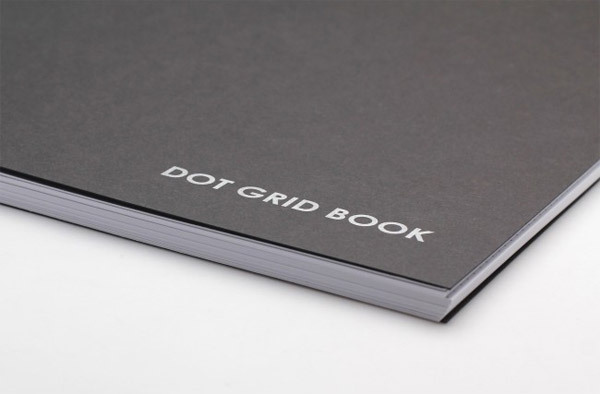 Love the idea of dot grid for a notebook. Little Blue DOT needs DOT Grid Book! I’m a student and this would be great to start! Would be great to get one of these to try out ! Would be great to sketch ideas into while on the move and how good is the lay flat design. I like it, would come in very handy to keep all the notes and scribbles in one place. This would be outstanding for an up and coming graphic designer like myself. I would love to own one of these. I am a stationery nut and this would be perfect for all my little sketches and doodles. I’d love to try an alternative sketchbook for my next inspiration. A designer’s dream. Long time fan, though I think it’s my first time commenting on one of these. Anyway, I’d love to have the dot grid notebook, since it would really help with my 8-bit video game projects. Sketching on one of these (instead of using the closest piece of paper or paper-like surface) would be awesome. Love the look of these notebooks. Ideal for thumbnail sketches and more fleshed out illustrations alike. It looks so good that even if I don’t win one, I will have to buy one, especially as there is a discount code too. These are great notebooks. I would love to have one. Count me in. I would like one, too. Thanks. I eat a lot of paper. This looks delicious. Nice! I can totally use this to create wireframes on the go! Right now I’m using Balsamiq for that, but I have to be at a computer to do so. It Would be Great to sketch and develop an idea in something like this, being able to create something with the help this dots give as guides help look in advance the final idea from the beginning of the project. For some reason, I love notebooks with dots and graphs more than notebooks with straight lines! I’m a dot and graph kinda girl. Inspiration here I come! why not? possible my first grid book! Paper, pencils, dots and lines! I have the Action Method dot grid mini that is almost filled up. It’s AWESOME! Would love to score a free one from Creoly (and SpoonGraphics). Glad to see paper is alive and well! I’ve never heard of a dot grid sketch/notebook and would be really interested to try one out. My journals are always a mix of images and notes so a dotted grid sounds perfect. Thanks for doing this giveaway – and I will be spending far too much time (and money) drooling over your other stuff! So awesome! Love that it lays flat. This would be perfect for sketching out new concepts! I would love to have a Creoly Dot Grid for my UI sketching. It looks like a fantastic product and would love to give it a ago. I love to draw / sketch / create and I tend to need some organization at times. This dot grid sketchbook will help keep my drawings proportional and more efficient when I scan it into adobe illustrator. Plus I just really want a new sketchbook to get funky on…. I love grid line notebooks but hate having the lines after I finish a sketch. A dot grid would be PERFECT for my sketches ! I’d love to try sketching my ideas on a dot grid notebook! I could really use something ,ike this for concepts! Plus, I just geek out on new drawing pads and writing notebooks… a cmbination of the two would be awesome! As an artist with a lot of passion for what he does it’s nice to come across a range of products created with that same passion to help me do so. Dot grid concept seems perfect for sketches, and it would be awesome to have it for my future projects. 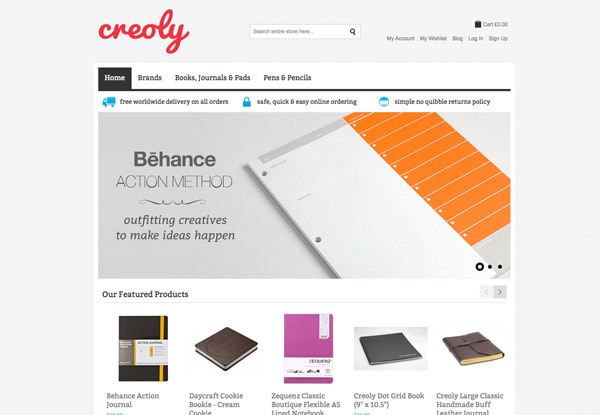 I’ve never seen Creoly before, but I’m a huge fan of Behance and all they do! This would be an awesome tool to win! This would be perfect to play dot to dot. Not one dot would be left out. Every dot should have a chance to be part of something much bigger than itself. For the dots!! As someone who is just starting out as a designer I’m beginning to realize the importance of a good sketchpad. As a student I can’t really afford one this amazing. Love me some dot grid. I would love to have this prize. Sketching in it would be amazing and helpful for my work. I love typography and this book will be a great asset for articulating my type ideas. Its better than lined grid paper! I would love one of these notebooks. Thanks! I’m a bit of a sketchbook junkie. I would LOVE to give this one a try! this seems like a great idea and I would love to get the chance to give it a try! I’d love to win one of these notebooks, because there’s nothing like a quality notebook to sketch and record ideas in. My drawing and sketching skills are so bad right now, connecting the dots may be my best approach. It will be awesome to use that book for my schedule and sketches to help me in graphic design. Thanks for the chance Spoon ! Would really love to have one. These look cool. These products are off the hook. I have pawed some of these products in a store…they made me so designy. Another great opportunity to score a great gift from Spoongraphics. I love drawing cartoons and I’ve never had one before, so I would be stoked if I won one! I am a graphic designer. I’ve always loved these books but never had the extra cash to shell out on one. It would help me so much with typography and logo design. I would loooove to try one of these out so badly. You guys are awesome. I’ve been meaning to get my hands on such a dot grid sketchbook for a while now. Thanks for the giveaway, Chris. I’ve love to get my hands on a book like this but it wasn’t until recently I realised just how much I could potentially gain from having one of these books. Would love to get my hands on this prize! Came on here to post a comment to win competition. Saw all the comments. Decided not to. Creoly Dot Grid Book seems like a pretty handy tool. Would love to add one to my arsenal. Look at them; gorgeous who wouldn’t want one? Yes please. I’m running out of sketch books, help! Looks like a fabulous notebook. Would love to give it a shot – new to me. Having a notebook dedicated to sketches and brainstorming, well that would be a step up from my current chaotic mess. I would really love one of that grid book simply because Im at this exact stage at photoshop designing with grids and implementing in html, css. It would be so great to have a sketchbook like this ! Quality notebooks for quality ideas. Surely I’d like to grab one of these (gridbooks). This would be so perfect for my upcoming project! I’m currently working on learning to draw architecture and machinery for a project I’m doing with a musician friend. It’s a cranky show (two large, connected spools of paper with continuous drawings on it that tells a story. The story is sung or told as you spin the spools to change the picture youtube.com/watch?v=A87UsDqnCZI) and it’s going to require a lot of factory scenes. Experimenting on gridded paper would make it so much easier to tackle! I can always find good uses for another notebook… jotting down inspiration, design ideas, plans for the future, etc. I usually spend my time sketching on randoms scraps of paper since I have never had an actual uniform booklet to put it all in. This would be perfect! Great blogg with loads of inspiration and great content. OOo please these are amazing! Designer’s stationery and resources are impossible to find in my City as well as State. Have been using plain sheets for the sketches. This will be the first time, I’ll be actually using a Dot Grid. Sounds like a greatly useful book to keep sketches and ideas together. I am a one man show and consider myself a developer first, but as a one man show have needed to develop my design skills and sketching has helped. Pages with dots as opposed to graph paper would help my designs standout from the page and still look neat. These are wonderful notebooks to use for concept art and just good visual needs for clients in general, to win one would be great to my avid collection of them; I go through one a month. It is hard to come up with designs without a grid or something to help through the design process, especially when trying to make things in certain proportions. This would be a great help. I am geeking out on these books right now! I would love to have a Creoly dot grid book to make my designs that much MORE awesome. Thanks for the opportunity! This would be amazing to help me with my typography and product design projects! Looks durable enough to use on a daily basis and clean enough to show to clients. I’ve never seen a Creoly product in person. They look terrific. Indeed those dot grid books really help! They rock!!! Thank you! I’ve loved the dot grid concept since I saw one of your notebooks: page seems totally blank when sketching, and provides that minimum reference for type designing or axonometric drawings…Please, let me try one!!! Yay! dot grid is the best grid to work with! not buzy as checks and not totallt blank. thank you. This would be a great sketchbook for design class next semester. Thanks! Really love that simple look. Would be nice to have one for my Sketches, Drawing. It would be great to use to design my next app or satellite (when I’m dreaming). Me loves grids!! I would love to draw my new sketch on this book. dot grid books look a fantastic way to show drafts to clients without looking like you have used a note book! I think this notebook would be fantastic for sketching out rough logos…rough concepts first; the grid pattern sure would help with this. Because if only i had one i could start meticulously planning and sketching solutions to all the worlds problems. What a great prize! This would be soooo handy for my budding artistic creatives. I would absolutely LOVE to be the fortunate winner of one of these! I usually use a grid line notebook, but I love the idea of dot grid! I would really like to try one out. I always try to find new cool notebooks and this one fits the bill. Merci! Looks like it’s just what I need for taking the plunge in graphic design! Always searching for the perfect notebook/sketchbook. Love that this one lays flat. I’ve been looking for a dot grid moleskin, but haven’t had much luck. This would be great for creating patterns with freedom to be outside the boxes of graph paper. It would really help me design on the go.